We host Ask-NCN Live video calls to build our community and give another opportunity for shared problem solving. Before the webinar, members submit questions to guide the conversation. Unlike our Ask-NCN forum, attendees get instant feedback from peers. We find that our members are excited to share their expertise whether it’s their successes or hard lessons learned. Our March Ask-NCN Live focused on the topic of collaboration. It’s a common assumption that if you stick a bunch of nonprofits in one building, it’s inevitable that they’ll start collaborating, right? Well, maybe sometimes, but it’s usually challenging in one way or another. Here are a few of the highlights. How do we encourage collaboration without forcing it? The fact is…you can’t force it. As a center, you can only provide the tools and opportunities to collaborate, but the tenants have to be on board. Forced collaboration is VERY rarely successful. However, if collaboration among your tenants is important to you, try a clear “take it or leave it” approach. Tenants get out what they put in. Also, unnatural collaboration can be a burden on certain organizations. While an increasing number of funders are adding “collaboration” requirements to grants, pushing organizations to work together only for that reason can be damaging in the long run. Collaboration should be a symbiotic relationship that builds capacity and increases impact for all organizations involved. Do you kick tenants that won’t collaborate out? If you have a strong culture of collaboration, tenants that don’t want to participate will often weed themselves out. An intentional community is often what makes nonprofit centers a great place to work, so organizations that aren’t a good fit often won’t see the value in being there. Before a center is open, how can we facilitate and build trust among collaboration between organizational staff, community members and board members? Before a center opens, you have the opportunity to give ownership to staff and other stakeholders. Listen to their input for design, amenities, etc. It’s especially important to have frontline workers bought into the process. In the future, they will be the driving force of productive, appropriate collaborative relationships. Probably one of the most important facts we learned was…free food is effective! It is one of the most reliable ways to ensure folks, at the very least, participate in social events. Getting to know one another is the first step to collaboration, so bring on the snacks. There were also several collaboration-related resources shared that have been added to our online resource center. Like Ask-NCN Live, access to the resource center is another perk of membership. If you aren’t a member and want more info, email Leena at leena@nonprofitcenters.org. Chelsea Donohoe is currently the Program Assistant at NCN and graduate student in the Master of Public Administration program at University of Colorado Denver. She also serves as the Marketing Liaison for the Young Nonprofit Professionals Network Denver’s Fund Development Committee and coaches Special Olympics gymnastics. 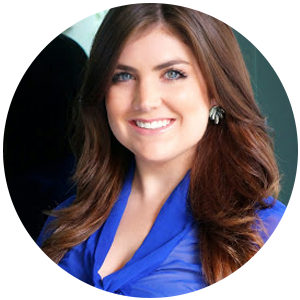 Before making the switch over to the nonprofit sector, Chelsea worked in broadcast journalism and online marketing.